Acton, MA (PR Web) February 1, 2007 -- Kenswineguide.com, an independent wine review website, announced today its recommended wines for Valentine’s Day Dinner. If you are popping the question or celebrating with your sweetheart on Valentine’s Day, you want a perfect bottle of wine. Wine buyers can be inundated with choices dining out at a restaurant or selecting a bottle to enjoy during a romantic dinner at home. Ken’s Valentine’s Day Wine List lets buyers select highly rated wines at different price levels without having to worry about bias from wine sellers. Novices and enthusiasts alike will find excellent wines at value prices with a quick and easy wine shopping list. "Valentine’s Day is a special day and wine lovers expect to spend a little more on wine than usual to accompany their romantic dinner and to enhance the mood. Valentine’s Day dinner is not only about great food, but also about romance, ambiance, and impressing your sweetheart. Our Valentine’s Day Wine List helps people buy a food friendly bottle of wine, either off the wine list at a restaurant or for a terrific dinner at home," according to Ken Hoggins, Kenswineguide.com founder. Ken’s Valentine’s Day wine recommendations include choices to complement many of the most popular Valentine’s Day dinners including, salmon, steak, lamb, oysters, and chocolate desserts. "If you plan to pop the question, consider a rosé sparkling wine to go with the roses you give your sweetheart. The Roederer Estate Non Vintage ‘Brut Rosé’ from Anderson Valley, CA is an excellent choice," says Ken. To view Ken’s recommended Valentine’s Day wines and champagnes, go to www.Kenswineguide.com and click on Wines For Valentine’s Day Dinner. Ken Hoggins began publishing wine recommendations in 1999 and is a trusted resource for consumers and wine connoisseurs. Ken consolidates wine ratings from all the major wine trade magazines, narrowing the list to ensure superb results quickly and easily. Ken and his tasting panel also review wines and add their scores to the overall average rating. Ken is the founder of www.KensWineGuide.com. He recently started www.BostonWineBuzz.com, Boston’s favorite wine blog. Ken lives in Acton, MA. 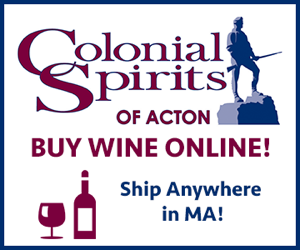 For more information or to schedule an interview with Ken Hoggins, please call Ken at 978-263-5123 or email him directly at Ken@KensWineGuide.com. Oysters – A known aphrodisiac and ideal for setting the mood. Ken recommends a tangy and acidic wine like Kim Crawford’s 2006 Sauvignon Blanc, $17. Halibut or Tilapia – These mild fish call for a light Italian white wine. Ken suggests the 2005 Argiolas "Costamolino," $15. It is a dry Vermentino from Sardinia. Salmon with Herb Butter – This dish calls for a Pinot Noir or a Chardonnay. Ken recommends the 2003 Robert Stemmler "Carneros Estate" Pinot Noir, $36, or the 2004 Kendall Jackson "Camelot Highlands" Chardonnay, $28. Chicken Marsala – Consider a Beaujolais from George Duboeuf. His 2005 Château de Nervers, $13, from Brouilly would be a great match. Lamb Chops – Ken likes the 2004 Terrazas de los Andes "Reserva" Malbec, $16. This wine will go nicely with the mint jelly and the lamb chops. Pan Seared T-Bone Steak – Grilled steak calls for a Syrah. Ken recommends the 2003 E. Guigal "Crozes-Hermitage," $22. Chocolate Mousse or Truffles – Try a couple of sweet wines. For a white dessert wine, Ken recommends the 2003 Macari "Block E" from Long Island, $36. With chocolate, Ken’s favorite is the 2003 Dry Creek "Late Harvest" Zinfandel, $30. If you prefer champagne or sparkling wine with your chocolate, try Charles Heisieck "Brut-Reserve," $38, or Roederer Estate Non Vintage "Brut Rosé", $26.